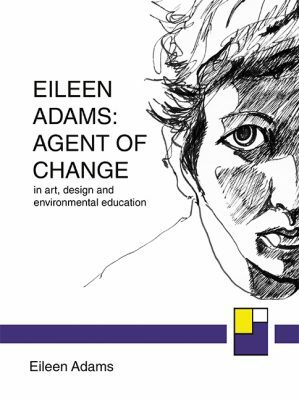 The opening of Eileen Adams book reminds us that art and design educationalists of the post-war, pre-digital age were grappling with how to adapt an academy based art education to incorporate twentieth century developments in art and design. Both Modernist and Contemporary art movements challenged the basis of traditional methods. Brave teachers, art educationalists and policy makers began to incorporate progressive methods and attitudes into mainstream education, which gave a few generations a unique window of access to a democratic education in the arts. I was lucky enough to be one of the last of that cohort and benefited from an art, drama and music education that will last a lifetime. I was taught how to think for myself, given opportunities to participate in exciting projects, shown how to analyze, critique and develop artwork and offered access to practicing artists, composers, musicians, conductors, actors and writers. Support for these experiences were both financial and pedagogical. Neo-Liberalism has eroded and dismantled this type of education and the digital revolution has altered the context forever. This book is a timely reminder of the riches we have all but lost. It is not too late. I urge every policy maker, educationalist, artist facilitator and teacher to read this record of a time when risks were taken and great strides in cultural development achieved. We need to remember what happened for the current challenging era of educating for the arts in the post digital age. As art makers and educationalists we are people makers, and as people makers we have a great responsibility to engage and develop the lively imagination of every person we work with. This book documents how we do that.